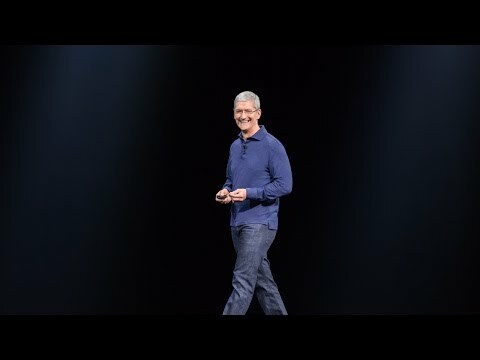 After hosting this year's Worldwide Developers Conference keynote on its own website for one week, Apple on Monday made a video of the event available to a wider audience by posting a full-length version to its official YouTube channel. WWDC 2015 was filled with software product announcements, updates and more, including the debut of Apple's hotly anticipated Apple Music streaming service. Following a humorous opening sketch starring SNL alum Bill Hader and a brief welcome message from Apple CEO Tim Cook, SVP of Software Engineering Craig Federighi took the stage to introduce OS X 10.11 El Capitan. When it launches this fall, the upcoming Mac operating system will come with user interface improvements and a number of backend enhancements targeting performance, deeper app integration and stability. Apple also introduced iOS 9 with smarter Siri functionality and more inclusive high-level searches. First party app features also got a shot in the arm. For example, Maps now sports Transit directions, while a new News app debuted and Passbook received a name change to Wallet. The Notes app will bring better Share Sheet integration with links, photo embeds and more. Cook announced Apple Music as this year's "one more thing," revealing details about the upcoming service set to debut on June 30. The Beats Music-inspired product features access to an extensive iTunes-based catalog, human-curated playlists and radio stations, a 24/7 live radio channel called Beats 1 and Connect social networking. Pricing starts at $9.99 for single users and $14.99 for families with up to six members. WWDC...yeah I think I've heard about it. Great, now everyone can be bored. Least they didn't drag Bono out. Worse, They dragged Drake out. Good thing they didn't give out a free album. Maybe it will be edited? There's something to be said for keeping keynotes to 90-120 minutes max. I didn't even realise this one was longer than past keynotes when watching it. I actually found this one quite interesting to watch. The boring ones for me are when they talk about how many people visit their stores and other stats. I thought Jimmy Iovine and Drake were good on stage. The music act at the end was much better than some of the ones they've had before. Over time, these events will probably seem more boring to people because they get further away from industry-defining product launches like the iPod/iPhone/iPad and more into software and service updates, which themselves become more stable and static. The hardware events in September/October should still be interesting as there's more innovative hardware to come. Tactile interaction on the iOS devices for example and all the wireless tech with Skylake for the Macs. They can also refresh their Beats headphones and related hardware e.g $149-199 foldable wireless Beats mini headphones that store tracks in the headset with wireless charging and controlled by any Mac or iOS device and easy switching between device. So you can be sitting at the Mac with headphones listening to music on the headphones but with the Mac sound routed through the headphones too. Walk out the door or to another room and the music keeps playing but it just drops out the Mac audio. Bring the iPhone near and it will let you take calls without taking off the headphones. Tap the Watch and it'll let you see and control what's playing. I miss the old days when Apple created incredible buzz and let the product speak for itself. Today, it feels like they have to say, "hey, this is so cool, this is so neat." And be so self-congratulatory. I think you may be misremembering Steve's contributions to the unveiling and reception of Apple's products. There's a reason the term Reality Distortion Field exists. There was a loud buzz created before every Apple event, in addition to product announcement events. There was more of a feeling of greater discreteness before. Whatever the case, we all expected a different company post-Jobs. A lot of people expected Apple would fail post-Jobs and yet it's doing better than ever with enough capital to halt operations and coast for at least 2 decades. The whole tech industry is lacking in hype because nothing is a surprise any more due to it being a much more mature industry where computing power is becoming inexpensive and companies are throwing new ideas, services and products around all the time to see what gets consumer interest. Why do people fall for magic tricks like that as if a bulb can float. It's clearly attached to a wire. People's expectations change over time. 1,000 songs in your pocket sounded great around the turn of the millennium. Now there's no number that sounds great. Fullscreen touch phone - meh, everybody has one now. They have an FCC approved transmitter that goes above 33W of power and wifi can be used to power devices. They say the FCC limits them to 1W over wifi but that's ok because the iPhones only have a 7-11Wh battery so if they are in range of wifi most of the day and all night, they'd pretty much never need plugging in to charge. But like I say, nobody seems to care. @Marvin All of that is true, but Jobs really did better at keynotes. I miss him just for that. I agree, but Tim Cook has gotten much, much better on stage. I was at the first WWDC he presented after Jobs passed away, and I recall thinking how lame his presentation was - ironically Scott Forstall came off animated at that event. I think Cook is not just better now, but actually a very good presence on stage. On the other hand Schiller shouldn't be allowed air time or should at least banned from inappropriately using the adjective "gorgeous", same goes for Eddy Cue (you knew this year's keynote had jumped the shark when we saw Cue dancing on stage). Fortunately we were spared a Sir Jony-narrated video, which have long looked like self-parodies. I mean, if they implement that in the Watch they are golden! I don't really understand the difference between mAh and watthours but the Apple Watch must only be a couple of wh at most?